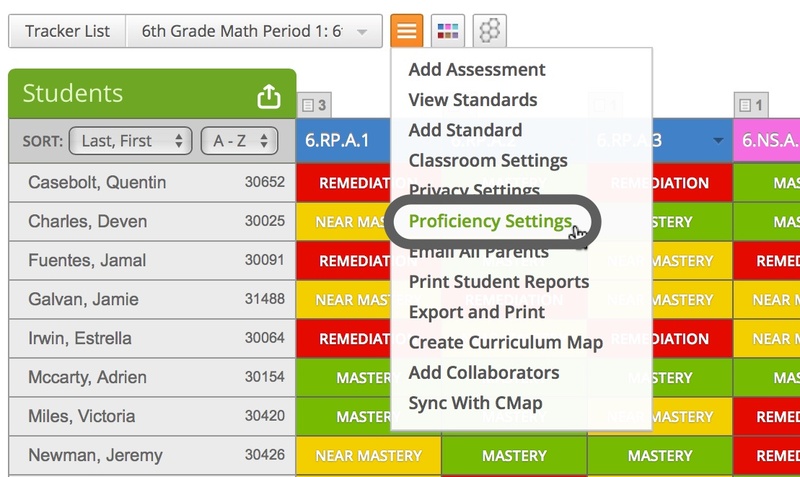 If your school or district has made multiple proficiency calculations available to you, you can change the proficiency calculation settings for the whole tracker or by standard. When you create a tracker, it will use the default calculation method set by your school or district. Note: If you do not have access to this feature, please contact your administrator. Click on Trackers and select your tracker. 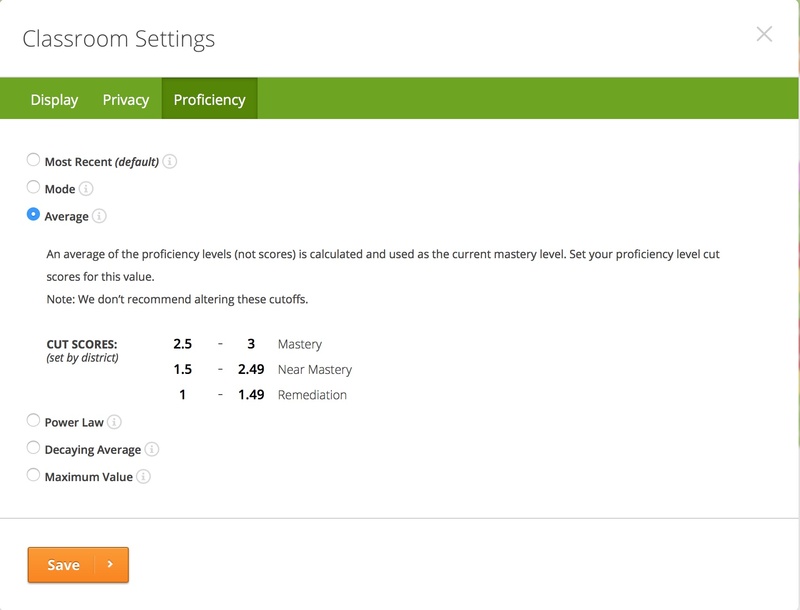 Hover over the orange menu button, and click on Proficiency Settings. Select the calculation method you want to use for your tracker, and enter the cut scores where applicable. Note: The only options that will be available are the ones set by your administrator. Click on Save to save the settings and apply them to your entire tracker. 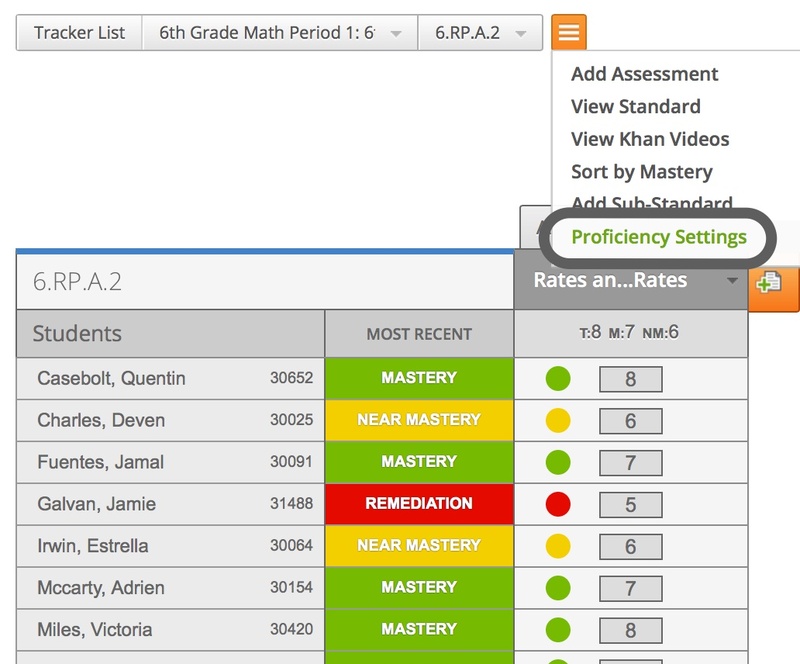 Click on a Standard in your tracker to change the proficiency calculation for that standard only. 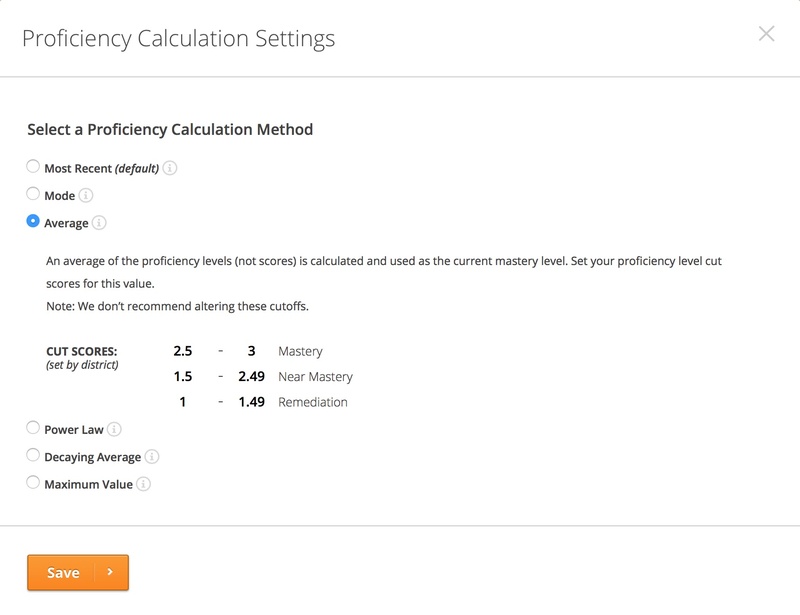 Hover over the orange menu for the standard, and click on Proficiency Settings. Select the calculation method you want to use for this standard. If your administrator has allowed you to add proficiency cut scores for select methods you can enter a new range (this is not recommended). Note: The only options that will be available are the ones set by your administrator. Click on Save to save the settings and apply them to this standard only.